Not agreeing and they actually add to canon unlike the new s*** that Disney made. The whole basic backstory of Anakin and Obi Wan was known to me since I read it in Starlog, before RotJ even came out. I didn't need to know that he was a racer... A POD racer, before that. I'm sure you have some gross fans on the internet somewhere. Also, I guess you don't consider the fact that old canon had female Jedi? Mara Jade? Hell, they're in the prequel trilogy and even The Clone Wars. Oh noes! 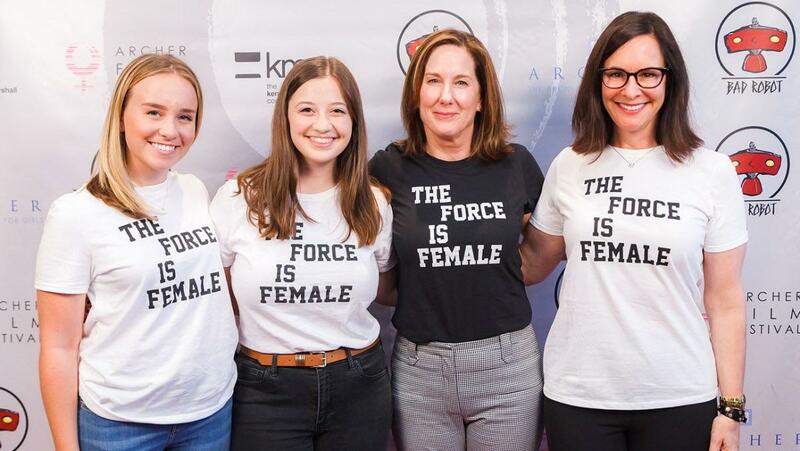 Star Wars has women and black people! Run! Stupid SJW agenda!... Yeah, how about you get the fvck away from my Star Wars. You were never wanted. Episode 1, 2, and Clone Wars have lower user scores on IMDB than all 4 Disney SW movies. Trend with You sticking in certain packs. Not better with SW critics and unless a miracle happens and E9 turns out good the decline will continue. We are talking about what movies show who cares about what you knew by books? You would defend the female aspect. As would Yankee who's very predictable anymore. What is a SW critic? Old books were loosely canon. New books are modern canon. Female Jedi are in prequels and Clone Wars. Both are current canon. You have no idea how offensive calling out what Star Wars fans like or dislike. You don't know me, man. I'm probably more of a Star Wars fan than anybody you've ever met. I also love movies in general. I know how they work and a decent bit of how they are made. You can have your opinion, but don't tell me what "the fans want". Val sure does get angry easily these days. What a snowflake. Sorry for sticking up for women and other races. Back in the day that made you a patriot. Now your a liberal retard, I guess. I have to say this but the new movies sux compare to the first six movies. How can anyone think 1 and 2 are better. You never denied it. Your post history falls right in line. You calling someone else ignorant is absolutely hilarious. You side with flat earth people. How dare you call me ignorant. Please rethink your life. My post history says SW race based things? No, you're just insinuating through your Disney = SJW agenda posts, which YOU started, along with pictures of females with T-s***s. You call me a "liberal retard", but you claim to be offended somehow. You don't know me. I am not even a liberal, but I am offended for them. Honestly, you don't deserve to post here. I posted a picture that THEY made there intentions clear with. You called me a racist. Race has NOTHING to do with what we are talking about. Liberals do these things as do challenged people. What does that picture have to do with whether the prequels are any good? compare to the last movie? That is by far the worse move made. Solo was a far better movie. But hey, everyone is different. Huh? I was saying how can anyone think episode 1 and 2 are better than the newer films. I’m all for different opinions, but that is flat out wrong. Yeah, The Last Jedi isn't my favorite, but I don't really understand the hate either. When TFA came out, so many people complained that it was too similar to 1977 SW (ep4). So, Rian Johnson really went for it. My main problem is that it's so spun out, I have no clue how the heck JJ is going to put it all back together for the next one. Honestly, I'm not sure what I would have preferred for VIII. We all wanted Luke to be the badass that we all know he was to grow into, and see it on screen. Guess what? It's much too late for that now. Lucas should have spent time in the 90s on sequels instead of screwing up the original creations. That's all he did for an entire decade. He didn't have to be (nor should he have been) the director. No Star Wars movie will probably ever top the first two ever made, but that's OK. All I know is that I actually felt embarrassed for being a grown adult, watching a terrible kids movie in the theater through both Episode I and Ep II. Watching those two movies is like watching a two hour YouTube cringe collection. I consider myself a pretty big Star Wars fan, but I gave up on Star Wars under George Lucas... only because he gave up on me first. NOTHING Disney has put out can compare in any WAY, SHAPE, OR FORM to how absolutely horrible they had become under it's twisted creator. I'm so glad that he let go of them, first and foremost. Star Wars under Disney at least tries to not be terrible. There is always hope with each new one for greatness, but I'll settle for decent to pretty good. Not only that, but Lucasfilm now has to make sense of those abominations, since they are canon. They're doing fine with connecting them. Rebels is pretty good, and the two side story movies have done a decent job of patching stuff together. Lucasfilm as a whole, is doing a good job now, IMO. (Even if I'm doubtful about how IX is going to turn out, like everybody else) Ewan as Obi Wan was arguably one of the very few saving graces of the POS trilogy. I'm looking forward to how they handle bridging the two parts of his life that we know. Maybe for calling people retarded? He got pretty upset for no real reason. He was warned for calling people retards. He did it again. Found my way here after seeing he was banned. Anyways I like Star Wars but honestly, just like Disney is doing to Marvel movies, I am burned out on them. The last one I saw was The Force Awakens and found it enjoyable. I've thought about watching Rogue One recently so I'm plenty behind on those movies, just like Doctor Strange is my next Marvel movie to watch.